Fernandez & Karney is proud to announce the launch of their new website. We are excited with our new website and believe that it will result in a better user experience. Fernandez & Karney, a Los Angeles based family law firm, has launched a new website to better serve its existing and prospective clients. The new site includes updated images and content designed to improve the user experience. Fernandez & Karney is a divorce and family law firm with over 60 years of combined experience. Co-founders Steve Fernandez and Mark Karney are both Certified Family Law Specialists. 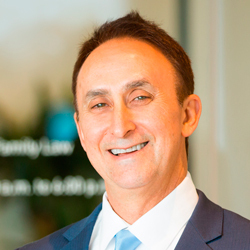 Mr. Fernandez has over 27 years of family law experience and attended University of California Los Angeles. Mr. Karney has over 22 years experience handling family law, child custody, and divorce cases. Fernandez & Karney handles all family law matters including divorce, domestic violence, child custody, child support, spousal support, property division, and prenuptial agreements. Our attorneys and paralegals provide skilled representation designed to improve you position and resolve the matter quickly. For more information, call Fernandez & Karney at (310) 393-0236 or visit us online at http://www.cfli.com.